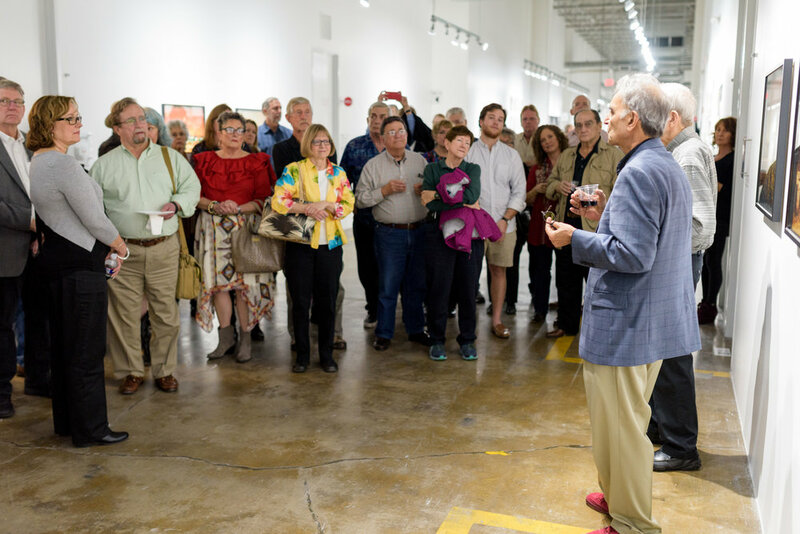 Serrano Gallery was the site for a special evening that marked the official opening of Exhibition of Five Visions: ASMP at Serrano Gallery, on Wednesday, March 14, 2018. 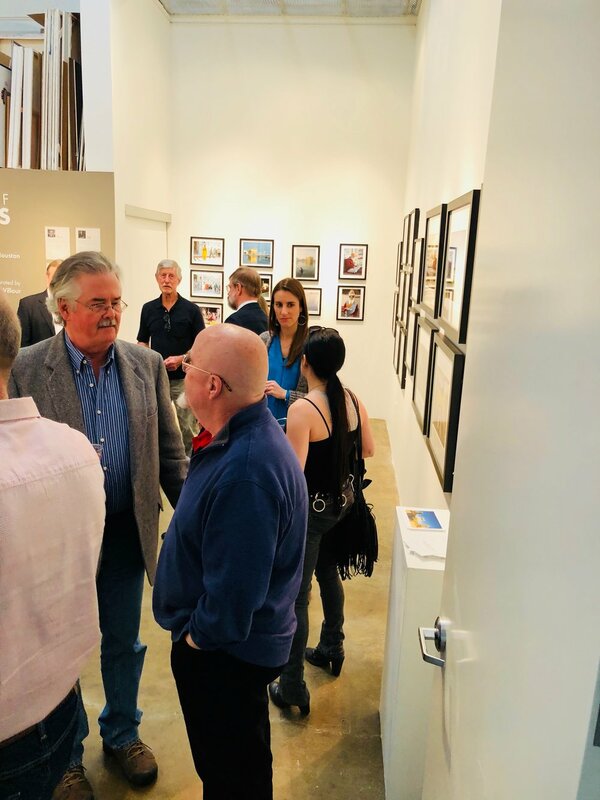 The event honored the remarkable talent of five members of the Houston chapter of the American Society of Media Photographers in a group show curated by Clint Willour, that will be on exhibit until March 24. The five photographers are: Jim Caldwell, Pierre Cook, Mark Johnson, Rocky Kneten and Narinder Sall. The show is held in conjunction with the FotoFest International Biennial, one of the largest exhibitions of contemporary photography in the region. Jim Caldwell's work highlights decades old statues, across Texas, that some in our society are demanding be torn down. Driving across America, Pierre Cook observes dynamic landscapes that beg to be captured. All of America, he says, is “the Ultimate Landscape.” Mark Johnson examines how cemeteries and mausoleums are used to memorialize the dead help the living cope with death of their loved ones. Rocky Kneten presents images of people’s shadows and reflections without revealing their physical bodies. Narinder Sall goes to Amritsar, India, to capture the essence of core beliefs of Sikhism along with the physical and spiritual beauty of their holiest shrine the Golden Temple. The American Society of Media Photographers (ASMP) is the premier trade association for the world's most respected photographers. ASMP is the leader in promoting photographers' rights, providing education in better business practices, producing business publications for photographers, and helping to connect clients with professional photographers. Founded in 1944, ASMP now has thirty-nine chapters and nearly seven thousand members. Exhibition of Five Visions runs March 3 to March 24, 2018 at Serrano Gallery, 2000 Edwards Street, Silver Street Studios (Studio 117). Houston, TX 77007. Hours: Monday through Friday, 11 AM to 2 PM; Saturdays, 12 PM to 5 PM. For more information, please contact Serrano Gallery, 713-724-0709.